Today morning, we were discussing reviews versus blogs. It started with a personal and candid post (Dad, We’re In Nebraska) by Rahul Desai. If you have seen Nebraska, do read it. It’s a strange feeling when you can identify your life with a film. And sometimes, it’s liberating in more ways than one. Today evening, we received another personal piece by @kuhukuro. This one is about Highway. An honest, brave, and candid open letter to the filmmaker whose film had an impact on her as it mirrors her life. Do read. I am not a film critic, nor can I boast of being very cinema-savvy. But I have been insane enough to source my philosophies from cinematic moments. Films have been thriving territories for epiphanies. Highway comes at a point in my life when I am delving in the art of being ruthlessly honest to my feelings, of asserting myself, and of exploring a newer version of myself. This one is a film that resonates with me for various reasons. For starters, I was also sexually abused as a child, and the perpetrator was a close relative. I could relate to the lingering and stealthy effect of the trauma depicted on screen. I also disclosed this fact to my family after entering adulthood. The film’s portrayal of the family’s reaction mirrored my situation. Watching Veera intrepidly telling it like it is and being unapologetically ‘herself’ in the last scene was heart-wrenching yet therapeutic for me. I have not allowed myself that outburst though. Not yet. Last year, my father succumbed to his mental illness and committed suicide. I know what you mean when you say that Bhaati’s death was the ultimate liberation for Veera. My dad’s death had a similar effect on me. I faced one of my worst fears. Nothing really terrifies me anymore. It incidentally also happened to be the year when I confronted the reality of my troubled marriage. Two trips that followed set me free in many ways. The salt pan scene in the film set against the ‘Tu Kuja’ soundtrack echoed my sense of self-inquiry. After watching this film, I was even more convinced that a journey from which you don’t completely return was exactly what I needed. Unlikely confidants, unlikely confidences, and accidental yet gratifying connections were a part of my journey as well. The journey in ‘Highway’ unfolds like a map of tragedies that exist in us, unfurls. It was a catharsis to observe the metaphorical ride from fragility to strength to nerve. I was nodding my head vigorously in agreement while watching the moments on screen where the lines between terror and wonder blurred for Veera. I noticed that Veera climbed many rocks in the film – big and small. I am assuming it metaphorically indicated overcoming obstacles and the joy of small victories. Many people couldn’t fathom Veera’s behavior – laughing interspersed with crying, and then questioning herself aloud like she was having an out-of-body experience. According to my reading, her emotional reactions were a part of the process of shedding the repressed parts of herself, and, embarking on the confusing yet exhilarating expedition of letting her real feelings come to the fore. Liberation is a strange and an idiosyncratic process. The silent scenes in the film aptly mirrored the way a meditative stillness seizes our inner world, when we travel. Then you stumble upon moments that break you before they make you. They unshackle. They teach you to trust your gut. It is important for life to whirl you around and turn your world upside down oftentimes. Memory is not something that fades in my case. It looms large and I crouch in its towering shadow. This time I have decided to soar higher than this menacing force. 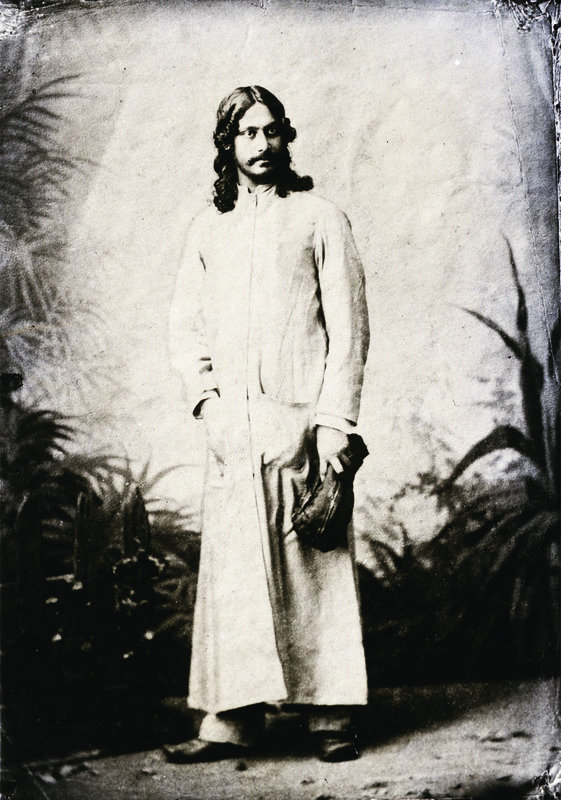 Patakha Gudi has egged me on to unleash that spirit, which was hitherto tucked away and silenced. I have just begun the task of developing my own vocabulary to express who I am. Thanks to Highway, I am propelling myself further in the direction of dismantling norms that don’t serve me. Before I sound like a gushing obsessive fanatic, I should wrap it up. Your film will be a part of the trajectory that is turning me into a functional, healthy, and a fulfilled woman. Thank-you Imtiaz, Thank-you Highway. I know I will get there soon. Along the way, I will live like I mean it. When a film inspire, transpire even a single person’d life and give liberty to her/him; I do count its successful movie. Unfortunately we do count success in club! Movie was touching and this letter was also the same. @Rajesh – same here. I completely identified with Alia’s sense of bewilderment/joy/peace when she felt one with nature. To see all those emotions which I have never really been able to express – on screen was magical. @kuhukuro – deeply moved by your honesty and courage to decide to share your experience. Reading this article was like a breath of fresh air, no matter how nauseating it was for some moments. It touched my deepest senses. Loved your piece. So intense, so touching, so powerful ! As a woman, I can only say that I’m proud of your strength and may you come in to your own like Veera did. I too found the movie to be a journey that touched my core. Very thoughtful interpretation of Highway (much like the audience Imtiaz Ali probably hoped the film will create in us). Thank-you for sharing that…it’s nice to have someone articulate with such honesty and meaningful bareness the ‘real’ discovery of one’s inner self while journeying through the outer world. Majid Majidi’s (an Iranian filmmaker) work also consists of powerful imagery provoking freedom and meaning — not comparing him to Ali, but suggesting another artist who uses nature and journeys as metaphor for life’s transformation. This movie had exact same Impact on me…. sexually abused childhood…and a family of relationships full of inhuman domestic voilence stories and divorces..is where I come from. In my case..Gender bias is another story. I was silent for years cos despite the fact I am allowed to take decisions for my carrier in a way.. I was not allowed to take stand for myself in those boundaries where one’s personal life starts. Despite Sulking deep within thinking why women in my family are not strong enuf to take stand for themselves, I was doing the same for all those years.. No talking, living in limits and boundaries, Like a “tameezdaar beti” ( just like Veera). But in a way I lost control when Last year my Mother got her ribs fractured when my Father Hit her… Even though the outburst was not as life changing as veera’s was. Now, I stand for myself.. I dont think about tameez and stuff now. I always say whatever I want to and whenever I want to. Even though I have not been able to liberate myself completely…and cant leave just like that. Even if I did so.. I will be forced to stay or get married by hook or by crook. But I am glad that I am on the track..and once I will be out… I plan to never return. 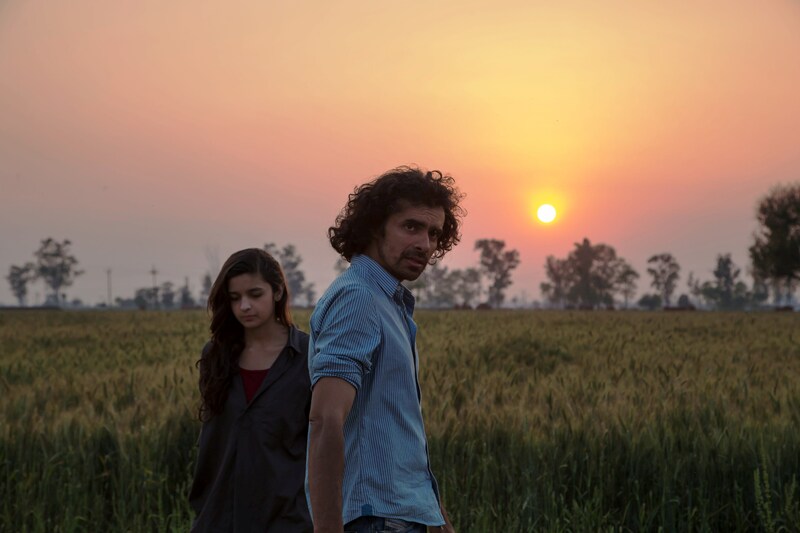 Imtiaz Ali.. even if i was doing whatever I thought is right… I was living under a shadow of doubt thinking what if I am hurting my parents.. what if whatever I am doing is just not right but my perspective.. Thanks to you.. you cleared all my doubts. Now, I wont regret this ever. 🙂 In a way.. you helped me. Touched! more power to you ..
honesty is so beautiful, really. may Good Lord bless you.. I have read this letter and it’s such an inspiring one, something that tells you to be who you really are. Highway so far has been the one i’m still comprehending. A few days back i was having a discussion with my family and friends and so it was completely related to the nomadic part of one’s soul-my soul.That so wants to liberate from the shell that covers my body. Very articulately expressed your feelings.. Thank u Imtiaz ji for gifting this film “Highway”. After watching this film some of my friends this film has no mean in life & this is such a boring film, some also went from half. So to defend myself I had tried a lot but today I can do that confidently after seen this letter. Don’t know why this people want only action films beyond that they can’t see anything.. Anyway thank all members of highway again. i dont know why but i will never forget this movie in my life ..
this is bestest movie ever seen… love u veera and mahaveer…..
salute to alia, randeep and imtiaz…. hope u all will read this reply…..
Reblogged this on the FILM FANATIC in me. really too good respect from the core of my heart………..
Highway I Love your Way..!! Reblogged this on The Digital Stylo. I recently saw “Highway” and have been struggling to put into words why I found the movie so powerful. The author of this letter does a good job of expressing some of what I felt. While I have been lucky enough not to have the same traumas in my childhood, but I have been abused in other ways and it does something to you. Also, I think some of why I felt Veera’s pain so deeply was also that as a woman, I have only just begun to realise what boxes I was being forced into and how those boxes made me feel suffocated and inhibited. If you haven’t seen the movie, I’d recommend you see it…..with an open mind. friends i have joined your group. Comes from someone who has already lost ‘self’ to the enigma of travel, especially to the wonder called ‘mountains’. Appreciate how you’ve put forward your real thoughts, and your battles. May you win the remaining ones too. Especially the ones on the inside. Amen. Touching. But how about a spoilers ahead alert? All the very best to you, Kuhukuro. I really appreciate your honesty and eloquence. I too was deeply touched by the movie, but found it hard to put into words what I felt. Reading what you had to say, made it all come home. Thank you and God Bless. http://worldofcinema.wordpress.com/ read a new perspective of highway..
its very touchy …. hats off to the women hood … brave ya … kudos lady . Reblogged this on Rohat Sagar's Blog.